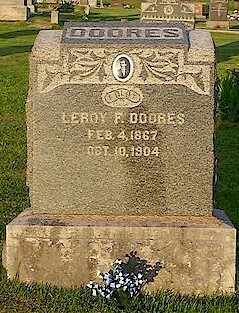 The Doores family was one of the earliest in Bronaugh. 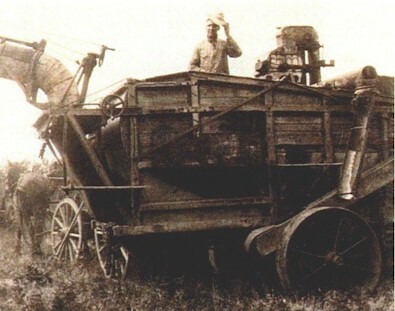 In fact they were in the vicinity before there was even a town. 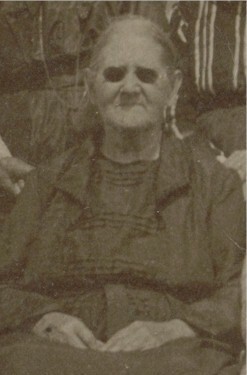 Prior to the founding of Bronaugh, the Doores family lived in northwest Vernon County, appearing in the 1880 Richland Township census (provided by Nancy Thompson). (Note, in the census, Doores is spelled Doors and the name Hemena refers to Xemenia). 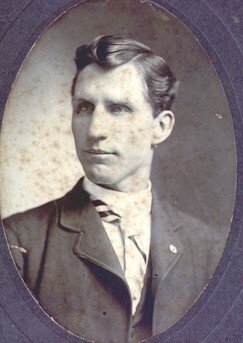 R. A. Doores was responsible for much of the early construction in the new town of Bronaugh in 1886 and 1887. 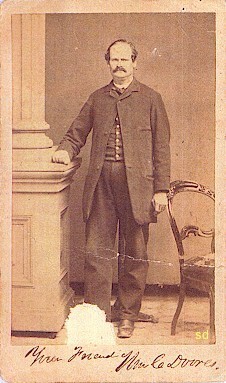 His work included such buildings as the Methodist Church. 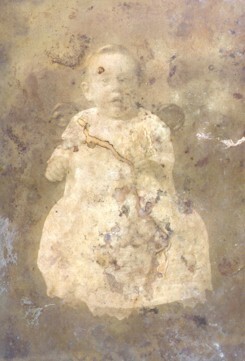 Thanks to Lindell Haverstic for sharing photos from the Doores family that came from an auction many years ago. The scans that follow are among those that are identified. 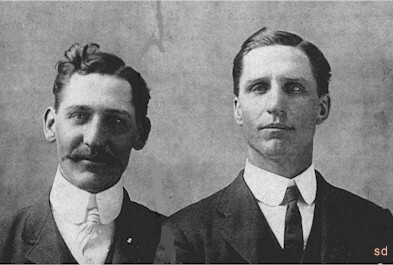 left: Mr. Robert A. Doores. 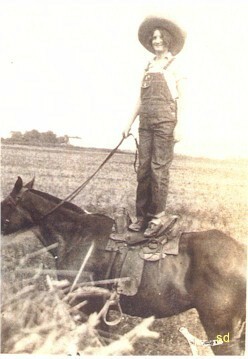 See entire photo with horse below. 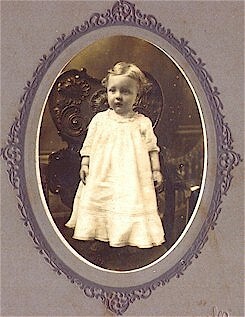 Anne Marie Doores Munson once wrote that R. A. was born in Kentucky, the son of James W. Doores. R. A. 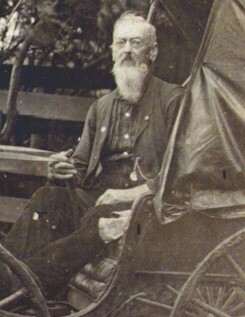 's wife was Louisa Ferguson, daughter John Ferguson and granddaughter of Revolutionary War Hero, Moses Ferguson. 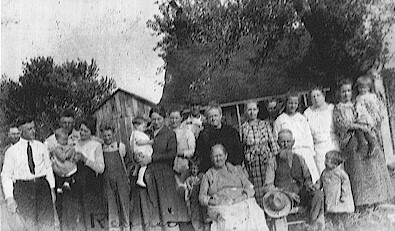 Both photos from Bronaugh Methodist Church group photo. 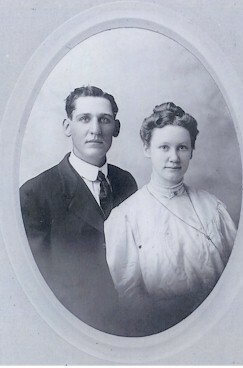 left: Leroy Doores, 1867 - 1904.
right: Dorothy Doores, born Oct 8, 1911. Daughter of JJ and Anna Marie Pike Doores. 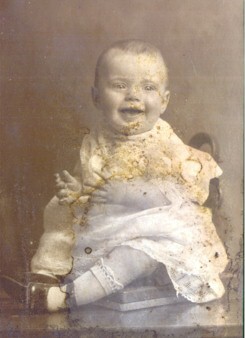 Photo is badly damaged. This is the best we can do. 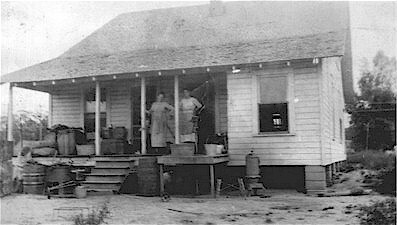 left: Helen Irene Hale, El Dorado, KS, born February 22, 1918.
right: Anna Ione Hale, born, July 30, 1920. 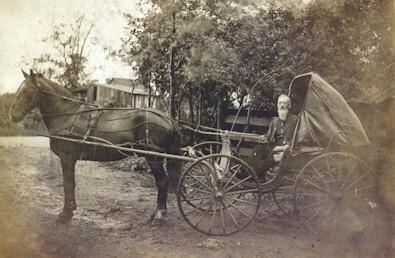 Scan of the large photo of R. A. Doores and his horse, Josie. 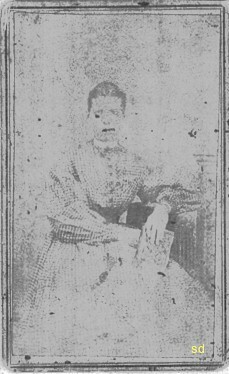 Sallie U.Doores, "Sue" Doores Armstrong, Cora I. Doores Wiley.There is no date on the photo. 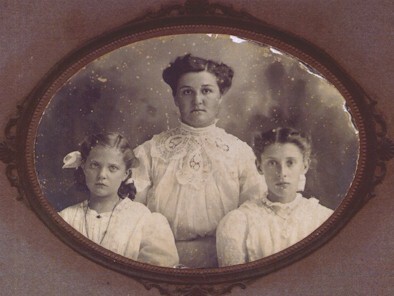 seated: Marie and Iva Doores (born June 3, 1893), daughters of J. J. and Anna Marie (Pike) Doores. 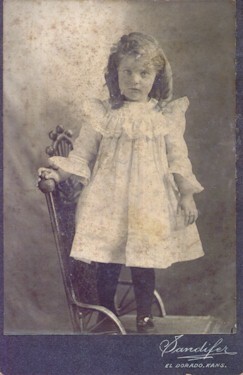 Standing is Edith Justice. 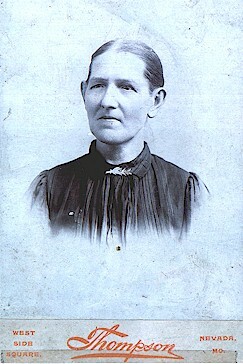 Edith was a maid / nanny for the Doores family due to the ill health of Mrs. Doores. ca. 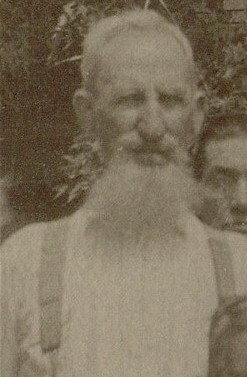 1910. 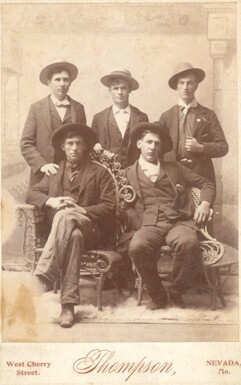 Click here to view another page of photos from the Doores collection and see if you can help identify them. 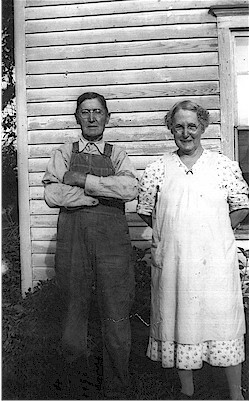 Joe Doores and Susan Doores have provided some scans of their Doores relatives who lived in and near Bronaugh. They appear below. 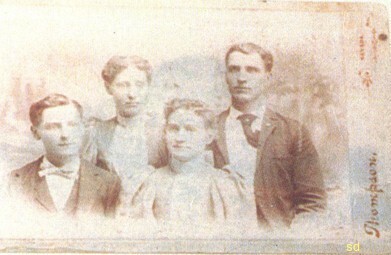 right: Joseph and Leroy Doores, before 1904.
above: Back row: Miss Sallie and Joseph L. Doores, Front row: man unknown and Cora. 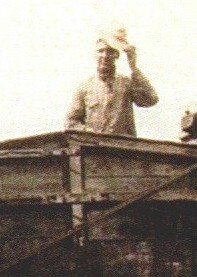 above: J. J. 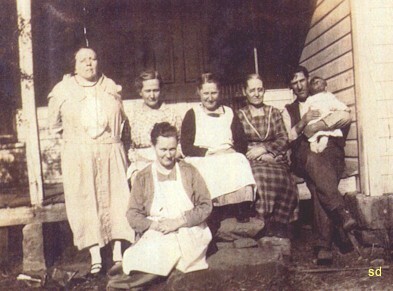 's wife Anna Marie Pike Doores, Cora , Sallie, Sue, Joseph Leslie with baby (maybe Betty?). 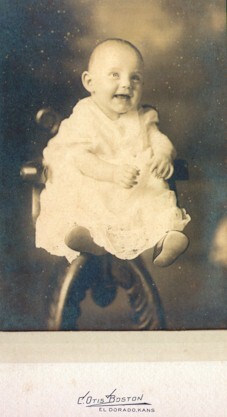 Seated in front is Myrtle Doores. Susan is uncertain how these fit in. 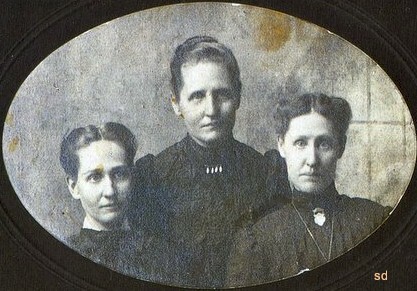 Right: Reunion of the R. A. Doores family. They had 9 children. 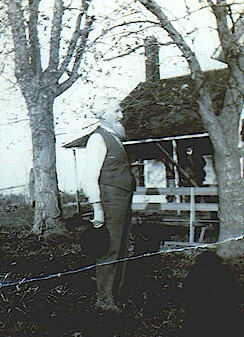 Joseph Leslie Doores with hat on left. 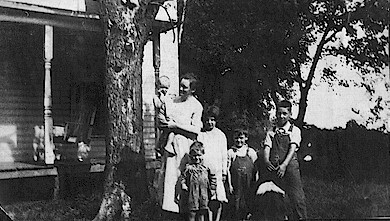 Myrtle Hannah Starr Doores with baby Jimmie (Susan's Dad), Maurine tallest girl, Joe next to her with dog, in front is Willard and Don. 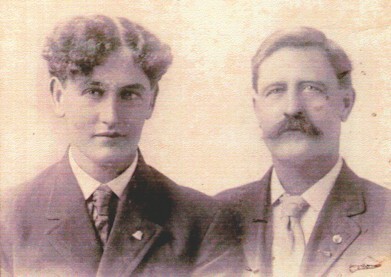 This is Jard Armstrong (son of Sue Doores Armstrong) and Horace "Shorty" Doores (son of R. A. Doores). 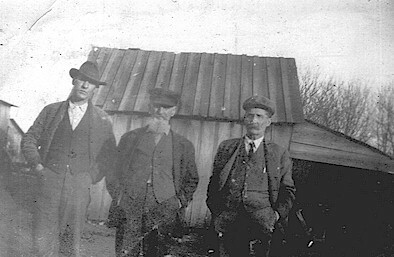 This photo was taken in Vinita, OK.
Jard is also on the front row of Susan's Modern Woodmen photo. Thanks to Susan Doores and other members of the Doores family for helping with these identifications. If you have information to share or questions please email.